Looks like Call of Duty: Black Ops has set new records! Activision today reported that it now has more than one million online multiplayer gamers registered on Xbox Live as of 0900 hours GMT. The game has surpassed all expectations and the number of online gamers speak for themselves. Activision saw such a feat back in 2009 when Modern Warfare 2 was released. Bloomberg today also reported that Activision was claiming to have posted about $360 million in sales in the US and the UK in just 24 hours. Activision claims that this is a new record for the highest gross sale in the first day itself for any entertainment property. Activision had a similar run with Call of Duty: Modern Warfare 2 setting a record of $310 million the first day. 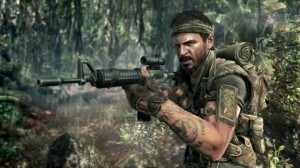 Speculation is that Call of Duty: Black Ops will easily gross a billion dollars in both the US and the UK markets. Over the holiday period sales can well pass $1 billion in retail which rival top entertainment debuts such as “Titanic,” “Thriller” and last year’s game, Sebastian. I might actually buy one for myself.